B7M bolts for High Temperature and/or High Pressure service are modified in our tempering furnace to meet the ASTM A193 /A193M – B7M standard for bolting covering both metric and inch bolting products. 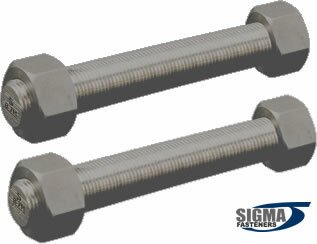 The A193 B7M standard covers threaded rod, bolts, studs, and stud bolts. In accord with the A193 standard the final modification is the tempering at 1150° F minimum performed after all machining, roll threading and any type of cutting. The tempering furnace recording chart is kept on record with your order maintaining complete traceability of your final product. Tensile and 100% hardness records are also available and kept with your order. Typical use for B7M bolting includes sour gas service where Hydrogen Sulfide gas exposure may lead to Hydrogen embrittlement problems in hard alloys. All B7M bolting which has been 100% hardness tested must be marked B7M and will have the Sigma Trademarked S for manufacturer’s identification. 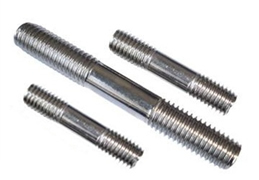 B7M bolts are 100% indentation hardness tested to ensure conformance to the standard. Tensile Tests are performed after tempering. ASTM A194 2HM heavy hex nuts are most commonly used with ASTM A193 B7M bolts.